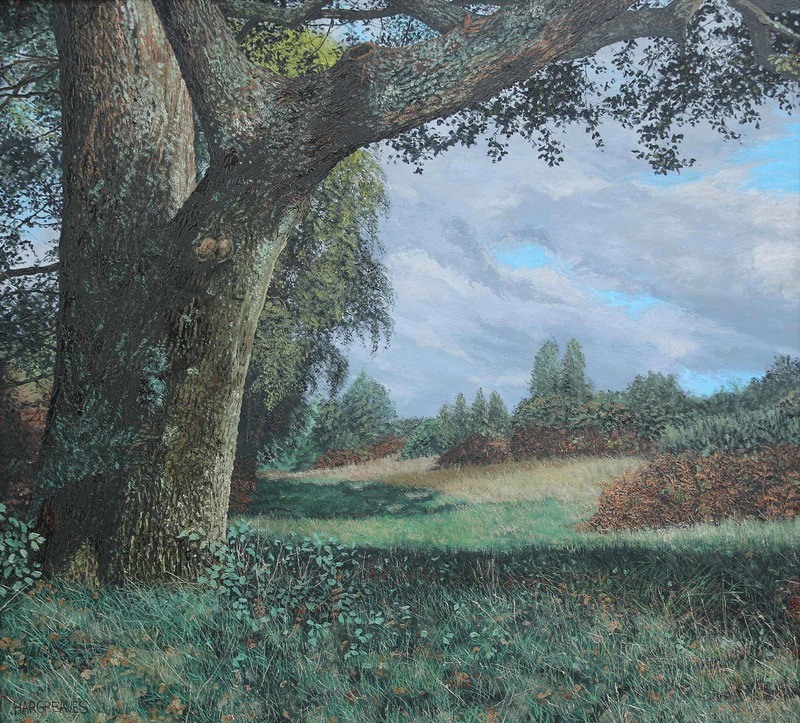 The Fairfax Gallery are pleased to present paintings by artist Adam Hargreaves who is fast becoming established as a collectable Landscape painter. Adam has a particular affinity with the British Landscape and his own recognisable style of portraying his subject. After leaving school in 1981 I completed a foundation course at Brighton Art College. A change of heart led to 6 years in farming, 2 years at Plumpton Agricultural College and the remainder working on farms in the Sussex Weald and Guernsey as a stockman and dairyman.My father died aged 53 he created the Mr. Men and Little Miss children’s books and I took over the running of the business he had built up since 1971. Over time I also stepped into his shoes as author and illustrator of new Mr. Men books and Merchandising. In 2004 we sold the business and this has allowed me the opportunity to pursue a life long ambition to paint. I have now been painting continuously for over 10 years. In my spare time I still write and illustrate Mr. Men books and in 2017 will release his first book not containing Mr Men being’ Molly Mischief’ .